It’s important for us to remember and in order to remember we have to look back in time. Through the Bible we are able to look back in time and discover truths, lessons and even warnings that God has recorded for us. Over the last week with Good Morning Girls we’ve read Jude, a couple chapters in Psalm and we began reading through Genesis. 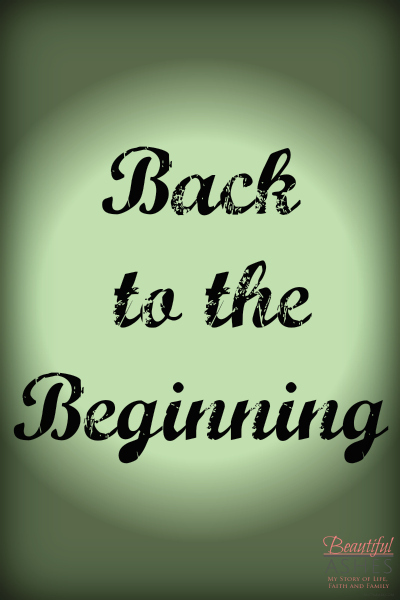 I love going back to the beginning and learning something new each time. 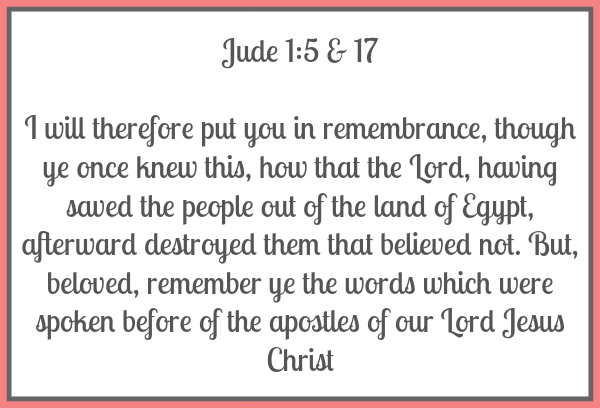 We must remember all the teachings, writings and warnings God has provided us in His word and throughout our lives. He does not leave us to find our own way through life, we must remember and look to the lessons He’s provided. As Christians we shouldn’t be seeking advice from or keeping ourselves tightly knit with unbelievers. 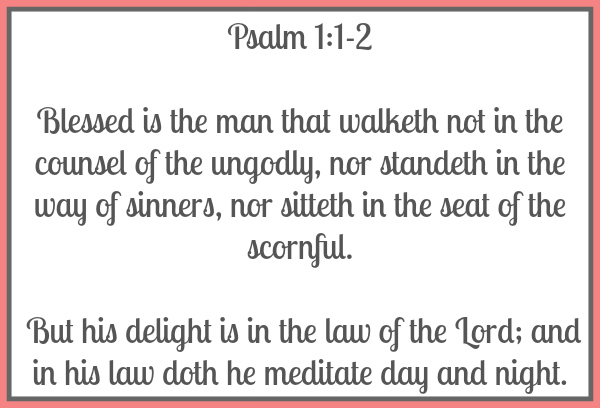 Our delight must be found in the direction we receive from God and His word. 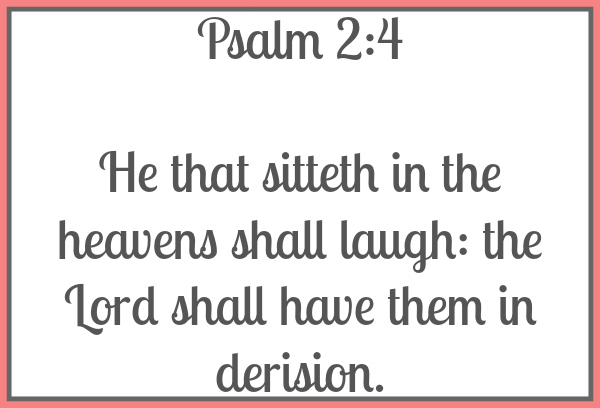 God watches everything from heaven and when those in authority think they’re in complete control without God, He laughs because nothing takes place outside of His plan. From the beginning of time God planned on having a home for us after life on earth. He created heaven at the same point in time as He did earth. 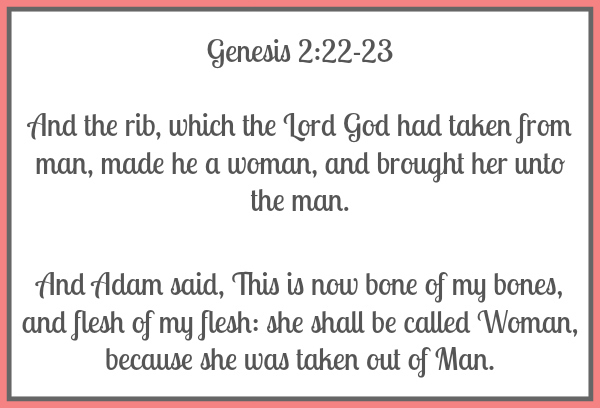 When God brought Eve to Adam there was no hesitation as to who she was made for Adam knew she was made for him, to be help meet, she was his match. He claimed her as his own, Adam wanted her. 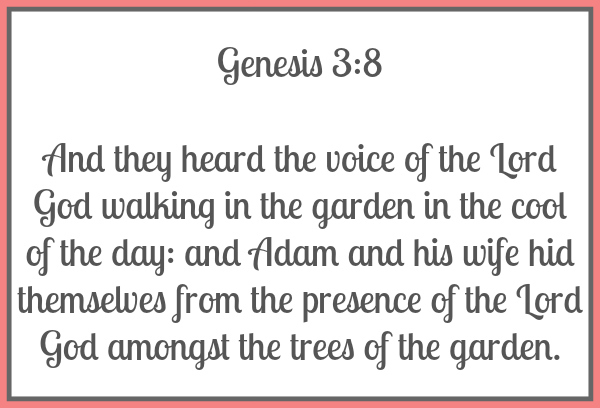 Adam and Eve’s sin caused them to hide from God the very Creator whom they had walked and talked with throughout the garden. 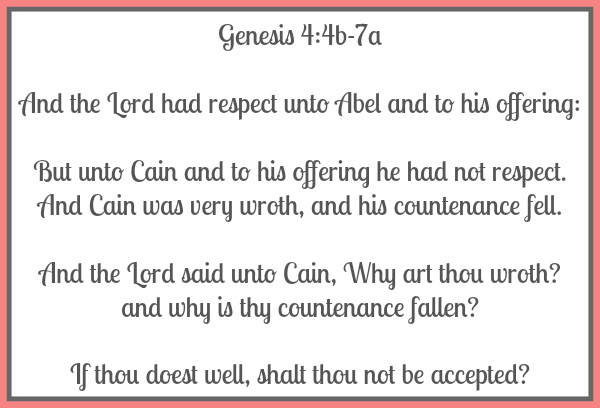 Cain did not bring the offering God commanded and thus he did not receive God’s respect. He knew what the commandment was, but chose to disregard it. 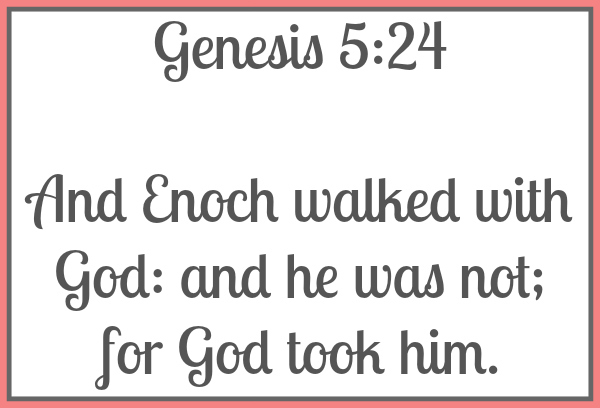 Enoch is the first man listed in the Bible as a man that walked with God and he didn’t die! God simply took him home to heaven! What an amazing legacy! If you missed the announcement, I’m Blogging Through the Bible with Courtney from Women Living Well, Bridget from Becoming a Godly Wife, Mandy from Women of Worship and Rosilind from A Little R & R as part of the Good Morning Girls Bible study group. Every Friday you’ll find us sharing our thoughts on the study at Courtney’s corner where she is hosting a link up for all bloggers that are studying along with her! Check out the other Good Morning Girls’ posts below. Bridget (Her past GMG posts are here), Courtney (Her past GMG posts are here), Mandy (Her past GMG posts are here) and The Girl and the Potter by Rosilind. My past Good Morning Girls posts are here. Are you following along with the Good Morning Girls or are you studying something else in God’s word? I’d love to hear what God has been speaking to your heart! I’ll meet you in the comments! <3hear what God has been speaking to your heart! I’ll meet you in the comments. 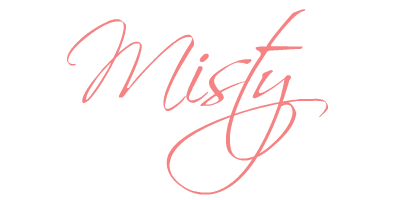 This entry was posted in Good Morning Girls by Misty Leask. Bookmark the permalink. I love all your insights. 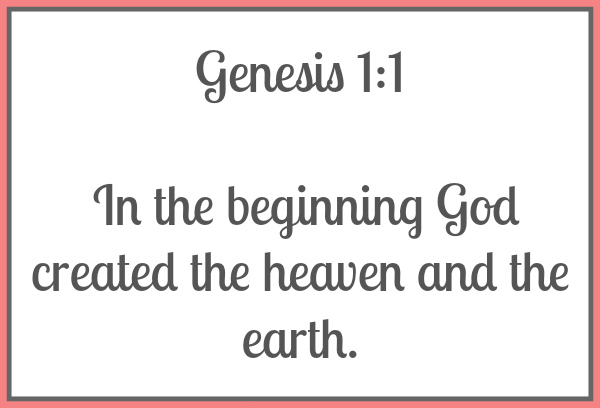 One that struck me is that you’re right God did create heaven and earth at the same time… so often I think of Genesis as the creation of the earth, but it’s really the story of the creation of both heaven and earth. I hadn’t really noticed either before this week! It was really cool to notice that! Blessings Cat!